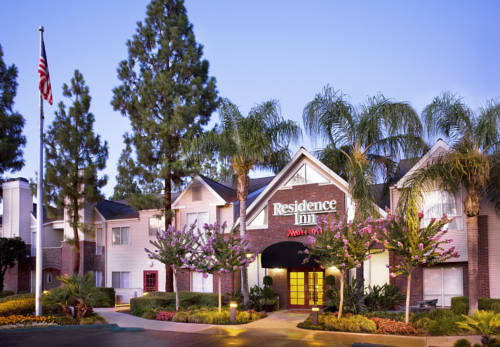 The all-suite Residence Inn by Marriott Bakersfield hotel offers conveniences like free Wi-Fi, complimentary hot breakfast daily and our free evening social, the Residence Inn Mix , on a variety of weeknights. Our expertly designed suite selection offers Studio Suites, Two Bedroom Two Bath Suites and One Bedroom Suites. Amenities include LED Smart TV's with Netflix, Hulu and Amazon.Full kitchens with full size stainless steel appliances complete with cookware and dishware. Located less than ten minutes from Cal State Bakersfield, two miles from the Rabobank Arena, 5 minutes to Kaiser, Chevron, AT and T, JP Morgan, Nestle, Weatherford, Wells Fargo, shopping, and all local hospitals. Our hotel has easy freeway access to Hwy 99 allowing quick connection to explore many of the sights and sounds of Bakersfield. Fitness center, outdoor pool, sports court, outdoor barbecue and gas fire pit relaxation patio.